The upstate village of Red Hill is about to learn the meaning of fear. 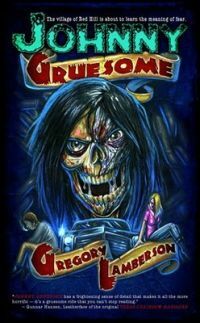 Johnny Grissom, nicknamed "Johnny Gruesome" by his high school classmates, is a heavy-metal hellion who loves to party, watch horror movies, and get into fights. His best friend, Eric, admires him, and his girlfriend, Karen, loves him. One winter night, Johnny's car, the Death Mobile, is discovered submerged beneath the icy surface of Willow Creek, with Johnny's waterlogged corpse inside. The residents of Red Hill believe that Johnny's death was accidental. Then the murders begin—horrible acts of violent vengeance that hint at a deepening mystery and terror yet to come. A headless body is discovered at the high school. A priest is forced to confront his own misdeeds. And a mortician encounters the impossible. One by one, Johnny's enemies meet a grisly demise, as the sound of a car engine and maniacal laughter fill the night. The students at Red Hill High School fear for their lives—especially Johnny's closest friends, who harbor a dark secret. If people thought Johnny had a bad attitude when he was alive, wait until they encounter him when he's dead!